A must have so you don't have to do work twice. Just ask us why. 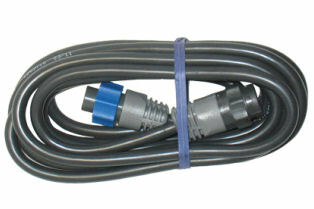 12' or 20' transducer extension cable , Blue connector transducer extension cable (50 kHz or 200 kHz). For use with BLUE transducers. Also for BLUE connector speed and temp sensors.